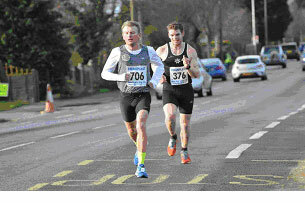 A handful of keen Rotherham Harriers made the trip to sunny Cleethorpes on the East Coast for the first event of the year, the popular and competitive Cleethorpes 10k. 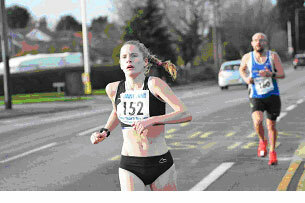 The Harriers team had obviously not overdone any New Years Eve celebrations picking up prizes across the board with Arron Larkin (picture above) posting a fantastic 6th place overall in 33:14mins and club mate Sophie Cowper (picture above) taking the ladies first place and 12th overall in 35:31min. Next home for the Harriers was Ian Whyman in 16th overall and first Vet 45 in 35:46min closely followed by Dave Tune in 20th place in 36:11, then next in was Jenny Blizard in 29th place and 2nd lady in 36:50mins.